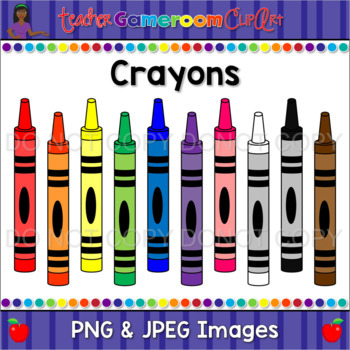 Make your products colorful with this set of crayon clip art. 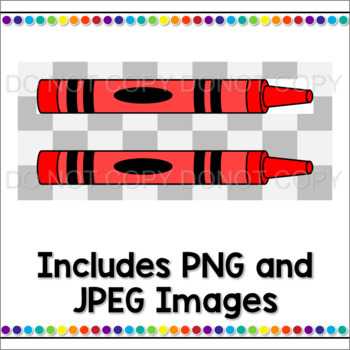 This set includes 10 crayons to use in PNG and JPEG formats. 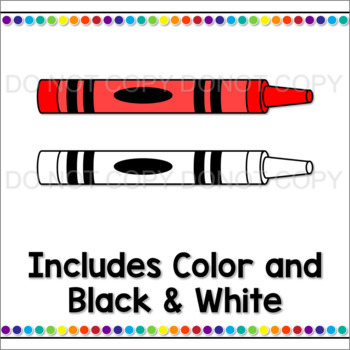 Includes 10 colored crayons and 1 Black and White Outline. Commercial friendly and ready to use in any powerpoint. All images are in png formats so they are ready to use. Perfect for any lesson or product of your own!